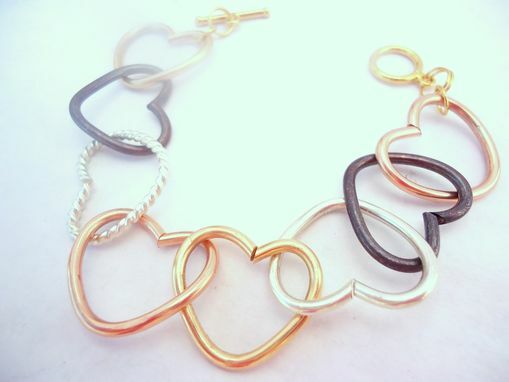 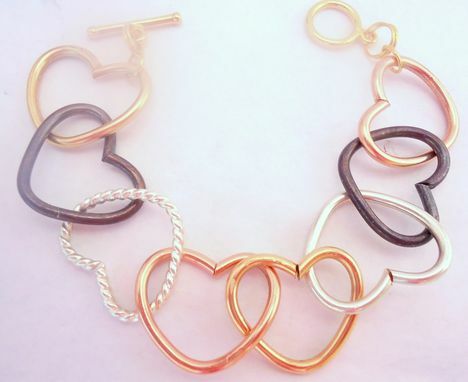 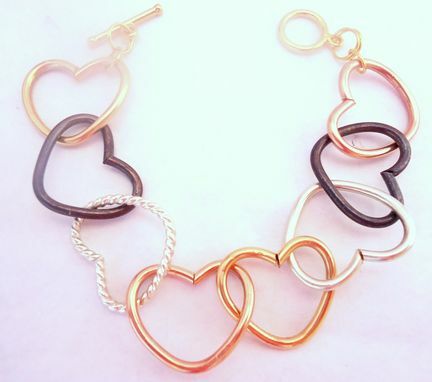 Lets make a bracelet with links of any shape or metal! 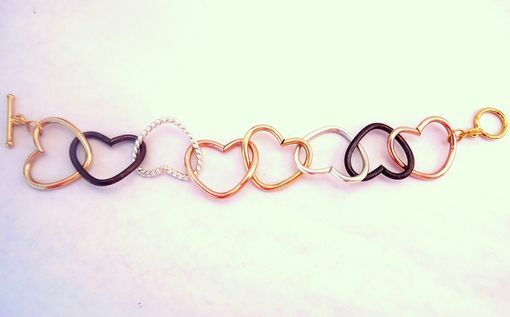 This bracelet was made for a client who wanted a replica of a Marc Jacobs bracelet that was no longer being made. 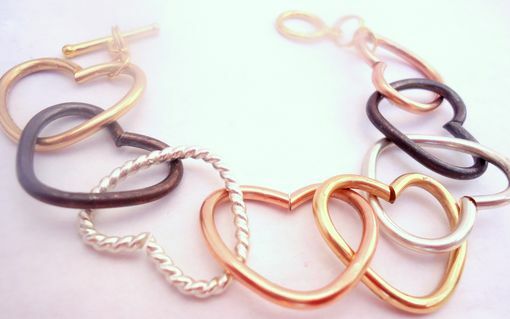 The lovely multi-colored links are made with sterling silver and yellow and rose gold filled wire. 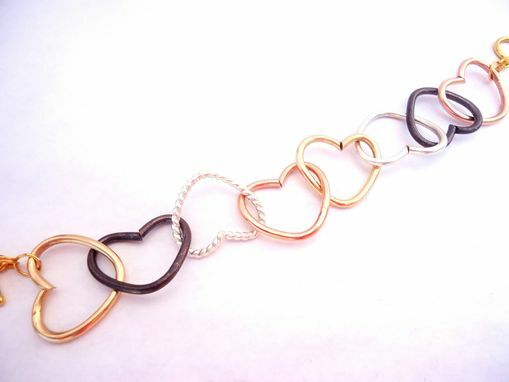 It measures a total of 7 inches in length and is finished off with a convenient gold filled toggle clasp.